**Disclosure: We were provided with product to help facilitate this feature. No monetary compensation was received. Picking up last minute gifts can be stressful! I remember when my kids were younger they were always invited to birthday parties and I would always forget until last minute - never failed! Kohl's has the perfect solution for you! Whether it be a birthday or baby shower; give a gift that gives back with children's books and soft toys from the Kohl's Cares collection. The products are priced at just $5 each, with 100 percent of the net profit supporting children's health initiatives nationwide. Every couple months, Kohl's will offer a new collection. 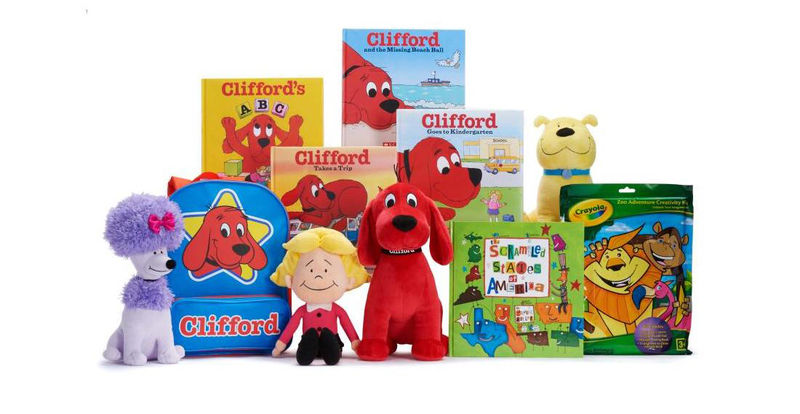 Now through September, you can find hardcover books and soft toys of the beloved children's classic, Clifford The Big Red Dog. The charming stories of the larger-than-life canine focus on kindness and send a positive message to young readers. As a parent, we get that additional feel good moment about purchasing the pieces with 100 percent of the net profit benefiting children's health initiatives nationwide. And at only $5 you really can't get any better than that! At some stores, you might still be able to catch their summer collection. I just looked online and they still have a few products from their summer collection available for purchase. They are so cute!! I want to mention too, that even though these are $5 - they defiantly do not reflect the price. These are not little stuffed animals you can cuff in your hand. These are large, high quality plush dolls! These would also be a great idea to pick up as the holiday's approach. 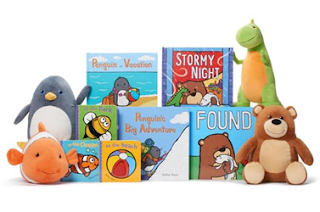 For just $10 you can get the plush and the book to go with it - would make a great holiday gift or even a great donation to a local charity for the upcoming holiday season! To date, Kohl's has raised nearly $300 million through the Kohl's Cares merchandise program. To reinforce the companies commitment to children's health. Kohl's has donated financial support ot hospitals across the country. The donations fund hospital outreach programs focused on children's health initiatives and address the specific issues needed most in each hospital's community. These tailored programs provide vital resources to families at no cost and include topics such as injury prevention, asthma awareness, dental care and fitness. A complete list of hospital partners is available online.